Sports Injuries Frequent Questions | Foot & Ankle Associates of Florida What can you do to get rid of shin splints? Rest – Giving your body time to heal is important, but even more so is making sure you are not sustaining further damage by continuing to perform high-impact activities. Ice – Our doctors can provide you with a specific icing regimen, and this will help to reduce both pain and inflammation in the affected area. Nonsteroidal anti-inflammatory drugs (NSAIDs) – Always check with our office for advice regarding specific dosage recommendations first, but you can further reduce pain and inflammation with certain over-the-counter medications. Orthotics – If you sustain shin splints on a frequent basis, we may recommend a pair of orthotics to control abnormal biomechanical motion while you run. This could be instrumental in helping to address a current problem, while at the same time preventing it from coming back. 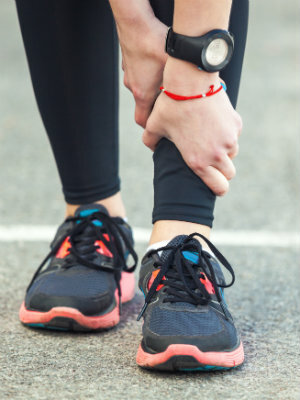 If you, or a loved one, is suffering from shin splint pain and are unable to take care of it on your own, contact Foot & Ankle Associates of Florida. You can reach us either online or by phone, and our staff will be glad to provide additional information or help schedule an appointment for you at any of our five Florida offices – Altamonte Springs, Kissimmee, Lake Mary, Tavares, and Orlando. Fill out our online form right now or give us a call at 407-339-7759 (or 352-589-9550 if you call from Mt. Dora) today! Chronic ankle instability happens when a sprained ankle is not allowed to heal fully before normal activities are resumed, particularly those that are more intense in nature. A weakened ankle is more susceptible to reinjury in the future. Repeated ankle sprains are the most common reason for the development of this chronic condition. Ankle instability can be a long-term, chronic condition in which the outer side of the ankle has a greater propensity for giving way and ankle sprains are more often sustained. With ankle instability, the ankle may even give way when an affected individual is merely standing in place. Common complaints are persistent swelling and discomfort, tenderness, pain, and feeling as though the ankle is unstable or wobbly. 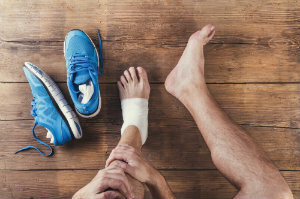 The best way to prevent this condition from developing is to allow a sprained ankle to heal completely before resuming high-impact activities. If you already have an unstable ankle, come see one of our doctors at Foot & Ankle Associates of Florida for a professional treatment plan. Call us at 407-339-7759 or 352-589-9550 (if calling from Lake County) to request your appointment. What is the difference between a sprain and a fracture? The key difference between a sprain and a fracture is where the injury takes place. A sprain is a common injury that can happen to the ligaments that connect bones to each other. “Fracture” is simply another word for a break and refers to instances where bones are cracked or broken. There are other differences as well, though. Sprains happen when ligaments are stretched beyond their intended range, with severe ones completely tearing the soft tissue. Fractures happen in response to physical trauma, either via a single event or as an accumulation over time (like with stress fractures). The reason people wonder about the difference between these two injuries is the fact that they share common symptoms. In both cases, there may be swelling, bruising, and pain. Further, both happen relatively often during sports and other physical activities. Our professionals at Foot & Ankle Associates of Florida can provide additional information, accurate diagnoses, and effective treatment plans for either of these common injuries. Call us at 407-339-7759 or 352-589-9550 (for Lake County) to speak to one of our friendly staff members. We can help you set up an appointment, or you can request one via our online form right now.